Honey as a natural food product dates back to ancient times. Today it is harvested and consumed all over the world, but as a natural product it is not easy to control or to achieve consistency. Look at the 40 kinds of honey in Taiwan for example: From research to keeping of bees to the harvesting of their honey to testing for impurities and pollution sources, safety gateways must be passed one by one. Then there is the equipment, low-temperature concentration, filling, and packaging to create consistent finished products. Each step in the process must be flawless. We love our craft and we care about how our customers feel about Löver Höney’s products. We’re not marketing-oriented but focus on our craft of making something that matters: just one simple, pure, natural, wholesome product. That’s what drives us to keep our lovely honey bees and to keep improving ourselves so that we may, with the clearest conscience, give you the clearest honey to enjoy. Love for nature is key to creating a good cycle. Löver Höney knows that if you treat the Earth well, she will treat you well in return. That is why in terms of ecology, channels and consumers, our bee farms do not just care about being a strong brand but about being a brand with Love in its name, in its genes and actions. Since our founding in 1965 until this day, from the filling of our first honey jar to becoming the Löver Höney brand selling over ten thousand bottles of sweet goodness per year, we have always remained focused on providing consumers with honest, pure, safe, sustainable, and wholesome honey products. Ecology-We only work with top-notch beekeepers across Taiwan that share our values about bee keeping and honey making in ways that respect the environment and bees. No overharvesting. No production-boosting drugs. We let the bees do their job of pollinating Taiwan’s nature and we harvest a fair share of honey for humans to enjoy. Channels-Löver Höney regards itself as the gatekeeper of safe honey. We are the first honey brand in Taiwan to pass the FSSC 22000, HACCP, ISO 22000, and international food certifications. We were also the first honey manufacturer to obtain the GMP food certification in Taiwan. In addition to selling our honey under our own label through supermarket chains, well-known organic stores, department stores, and web shops, we also supply directly to major food and beverage groups in Taiwan, well-known food and beverage manufacturers, and fresh tea take-away chains. Therefore, Löver Höney strictly adheres to quality control from hive to shelf to guarantee top quality to our channels and their consumers. 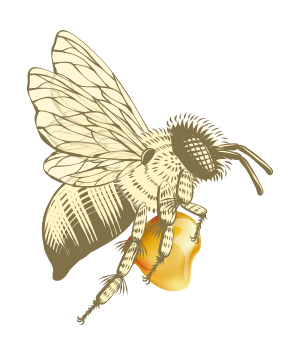 Consumers-Our natural and wholesome honey respects the sources where it comes from. In compliance with Taiwan’s CNS 1305 standards for honey, each batch of all our honey varieties is tested and cleared by third-party verification firm SGS on the highest standards: only if found free from 470 pesticides, 70 animal drugs, and antibiotics, is our honey released for distribution to consumers. We timely update and transparently disclose our inspection reports to enable consumers to purchase them with peace of mind.